This Tom Jackson design is a challenge for all golfers. Beautiful tree-lined fairways, small traditional greens, and nearly 100 bunkers are some of the reasons why golfers come back year after year to test their skills. 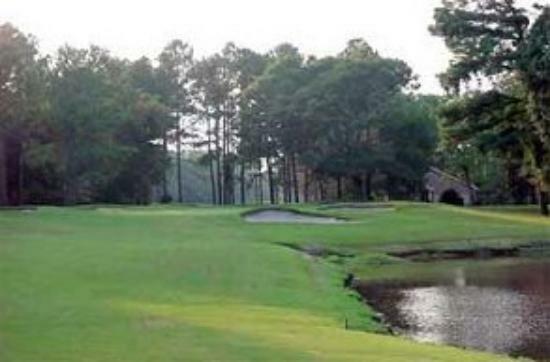 Carolina Shores Golf & Country Club is located in the heart of Calabash, North Carolina. The course first opened its doors in this historic seaside fishing village back in 1974. Carolina Shores Golf and Country Club features immaculate rolling fairways, large greens surrounded by huge trees, 10 natural crater lakes. A real local favorite for all the regulars in the Brunswick County town of Calabash.